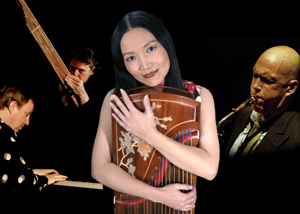 MEI-HAN.com features the work of Chinese zheng virtuoso Mei Han as a soloist and with her various ensembles bringing the zheng into the 21st Century.. Contemporary and Traditional music for the Chinese Zheng, virtuoso, innovator, improviser and scholar. Upcoming tours, past events, and more! This is what they have been saying. Booking Contacts, plus downloadable press kits, stage plots and photos. Society that oversees the activities of Red Chamber. New Music for the Chinese zheng.